Mobile app developers dream of creating a viral app like Instagram, Snapchat or AngryBirds. Even though some apps are very widely used, none have ever achieved instant success like Pokemon Go. This app uses the familiar “Pocket Monsters” of Pokemon and a revolutionary blend of new technologies to engage players. The game uses augmented reality and Google Maps for a geo-specific, interactive user experience. This new interactivity encourages game play, socializing with other players, and even the unthinkable — it gets gamers to go outside and exercise! More than 50 million people downloaded Pokemon Go within 19 days of its release in the Google Play Store alone; previously, the fastest any other game hit that mark was 77 days. The game had more than 75 million people downloading it by the end of July, 2016. According to mobile insights experts, most established game developers work hard to reach just 10 million downloads. There’s even an entire website dedicated to providing Pokemon Go app revenue and download stats in real time. Certainly, this game entered the market with some advantages. The characters come from an established franchise that’s been around for about 20 years. Pokemon Go is just the latest offering in a long line of card games, video games, television shows and movies. The popularity and brand recognition certainly helped; however, that’s not all of it. The game provides a unique and appealing user interface by displaying animals on the map near your avatar. Once you tap the characters, the game uses the phone’s camera to display the scene in front of you, but with a Pokémon superimposed on the screen. You then have to gauge your distance from the character and toss poke balls at it to make the catch. The game also forces players to move around their geographic location to hunt for Pokémon creatures, ranging from common to rare. These elements have created a user experience that is both unique and, apparently, addictive. The creators didn’t just rely upon brand recognition to market one more game in their portfolio; they took a step forward and created a revolutionary user experience. The lesson for mobile app developers should be pretty plain. It’s not always important to have a novel premise for a game, but it is important to find a way to make that application stand out from its competitors or predecessors. To do that, it’s important to focus on using the latest technology to give users something they can’t get anywhere else. Do you need to develop a mobile app for marketing, connecting with customers, or making your business more efficient? 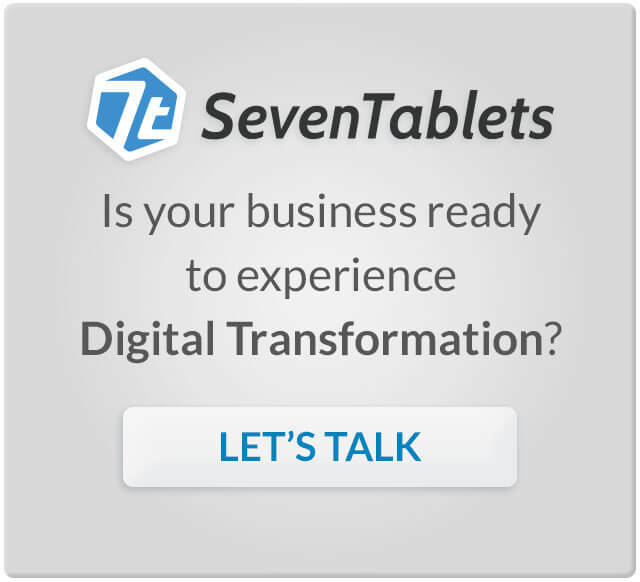 At SevenTablets we focus on the user experience to make sure your adoption rates are always on top. We want to hear your ideas for your next application, and we want to share our ideas with you. Contact us right away to get started.